CPS is a worldwide supplier of SIAT carton sealers and pallet wrapping solutions, with a complete range of high-end packaging services and machines. The company draws on its technological prowess and knowledge of client requirements to provide a truly 24/7 service. CPS is the exclusive agent for Maillis and SIAT carton sealers, erectors and wrappers in Australia and New Zealand for semi-automatic and automatic ranges of products. The company optimises production lines of a client-base that spans from small businesses up to multinational organisations such as Coca-Cola, Kraft and Cadbury’s. CPS is a specialist provider of automatic and semi-automatic packaging machines. In addition to supplying the machines, the company also performs installation and issues warranties, as well as training staff that will be using them. CPS can customise machines should a packaging application require specific functions. A unique service provided by CPS is online manuals that are available for its semi-automatic machines, ensuring that clients can access the relevant information without calling out an engineer for something that they might be able to fix themselves. The company has been optimising and servicing machinery for more than a quarter of a century, also providing spare parts and overnight on-site visits if required. Service contracts are issued with automatic machines from CPS to extend service-life, prevent downtime and optimise efficiency, with set intervals between maintenance determined by the application’s usage. The Maillis RA Rotary Arm Wrapper is for production lines with medium throughputs. It can be placed in a pallet conveying line or a palletising unit to enable functions such as stretch-wrapping and film cutting, with the wrapped pallet then loaded onto a forklift or onto a conveyor. The automatic pallet wrapper operates entirely automatically, featuring a touchscreen interface to setup and monitor operations. It is capability of processing 80 pallets an hour. The Combi 2-EZ HS is an efficient high-speed erector of cases in a range of sizes and weights at speeds of up to 25 cases per minute. 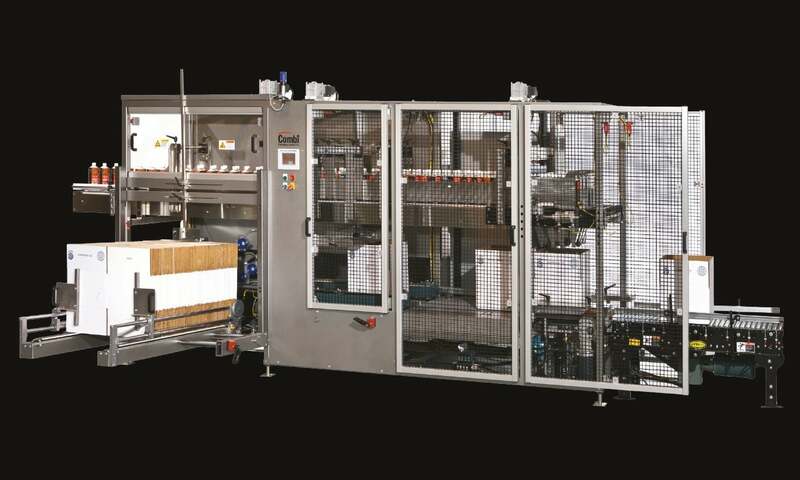 The user has the flexibility to promptly adjust lane guides, enabling the packing of several products simultaneously. The heavy-duty machine is available in RA Standard and RA Deluxe models. It had the option to be calibrated for both right and handed use depending on the user’s requirements. CPS offers proactive servicing, spare parts, a pool of emergency parts on client premises and an overnight turnaround time in Australia. Automatic machines are sold with a service agreement, which is rolled out every three, six and 12 months, depending on volume and environment. The service maintenance agreement prolongs the lifespan of machines through proactive servicing to ensure production efficiency and longevity.Critical spare parts are in stock on CPS premises to make sure clients will not be hindered by expensive and potentially prolonged periods of service downtime. CPS can perform analysis of client operations to determine areas where efficiencies can be made, helping to streamline production and boost cost-effectivity. CPS tailors its services to meet the individual needs of clients, with a team experts in their field assigned to cover individual aspects such as technical management and coordinating installation. In addition, sales teams have backgrounds in engineering and technical skills, so customers know they can trust advice given at the point of purchase. All equipment from CPS comes with a warranty to cover expected effects of standard operations. Previously known as Cling Packaging Systems, CPS was founded by Chris Bishop in 1985. Its head office is located in Victoria, Australia, with branch offices in New South Wales, Queensland, south and west Australia, northern territory and Tasmania. Within New Zealand, distributors serve both the north and the south islands. Case Packing Systems (CPS) is attending the forthcoming Fruit Logistica in Berlin and will present the CLP pick-and-place application to automatically pack MAP trays into carton trays.